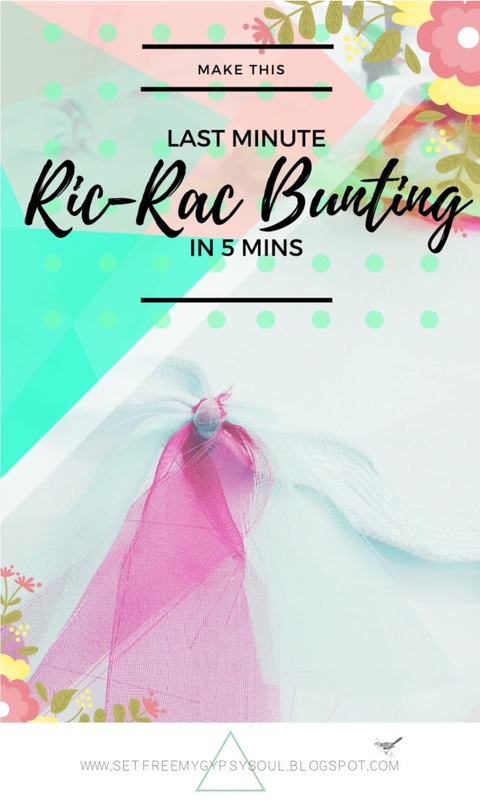 Make this cute and quirky ric rac bunting in no time at all and add shabby chic bohemian fun to any party, room or nursery. Less than 2 hours to go until Mr B and me set off for the awesome Crick Boat Show 2016. I am sooo super excited! But this week has flown by so fast and until a mad dash yesterday morning I have been totally unorganised after being pulled in at home to fix boilers, colour hair and travel for Mr B's work. Going through the camping paraphernalia last night I noticed a distinct lack of pretties. This made me sad. Where I packed the glamping stuff during the move I have no clue... but our camping just isn't camping without an abundance of bunting!! 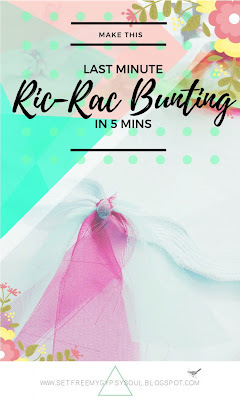 I will be sharing my crochet bunting flags pattern next week so I can include some shots of it in situ but this quick and easy ric rac bunting is perfect for a last minute project! 2m Ric rac - I'm using Jumbo Ric Rac I picked up whilst hunting for cable ties at +The Range UK . Sooo simple.... at even intervals, just tie a cute little strip of organza or fabric along the ric rac. I knotted these twice. 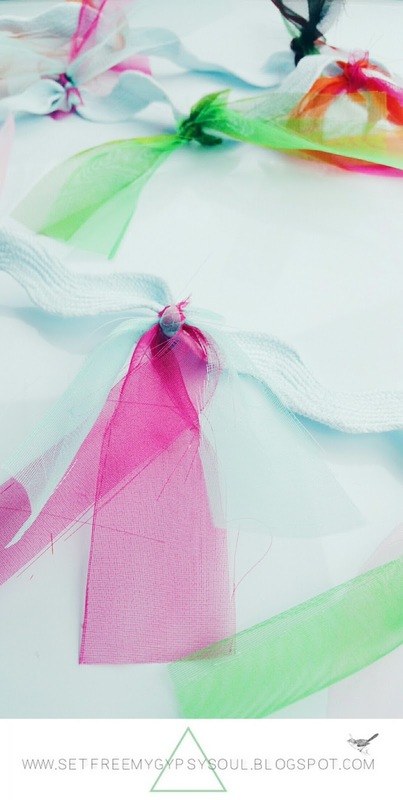 If you get a craft pack of organza strips like I did, cut them in the middle like this to tie on. These are great as you can always find them in the discount stores like +Poundland. Adorable bright and fun boho bunting in no time! Now to try and get myself looking as cute as our campsite will! Have a wonderful Bank Holiday Weekend lovelies! !